Perhaps you’ve been to my house. So then perhaps you know I love snacks. That perhaps leads to you knowing what I do on my free time, hoard snacks. I’ve done this for as long as I can remember. There’s sooooo many snacks lying around my house, but I promise you I don’t snack often. I have more of a mentality of trying a snack, maybe eating a few pieces, and then it just sits in my house until visitors eat them. In college I did the same thing. I even had an intervention. Once a roommate ask me why I don’t finish my snacks before purchasing more. What a strange habit right? I had to promise my husband that I wouldn’t hoard snacks when we got married. I was doing so well up until recently. I discovered the chip aisle again (muahaha!). I’m sharing two of my most recent finds with you. Snacks that I like so much, I’m actually eating the entire thing! First thing’s first. Lay’s is hosting their “Do Us A Flavor” campaign again. Users submit flavors and the top voted ones get put into the stores. Then you vote on which one will stay. 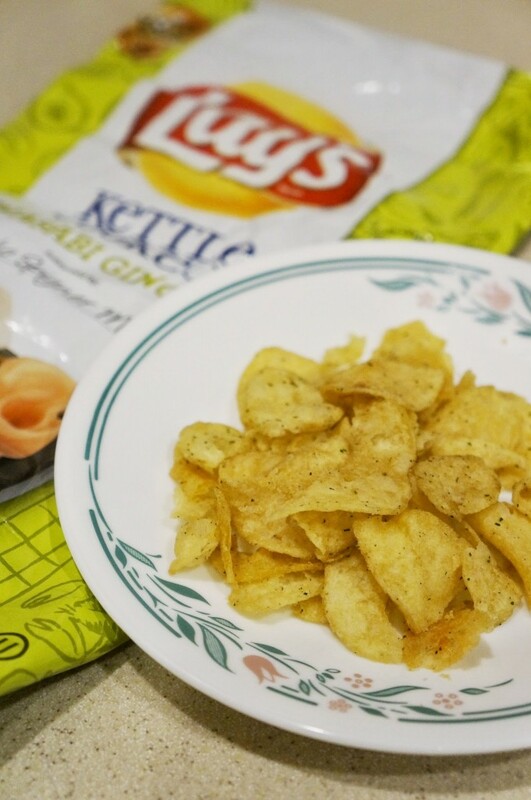 OMG the wasabi ginger chips are amazing!!! Honestly, it’s sushi on a chip. Once you get over the texture, basically it’s a crispy piece of sushi in your mouth, the flavor is fricken awesome. Obviously you need to like sushi in order to enjoy this flavor. 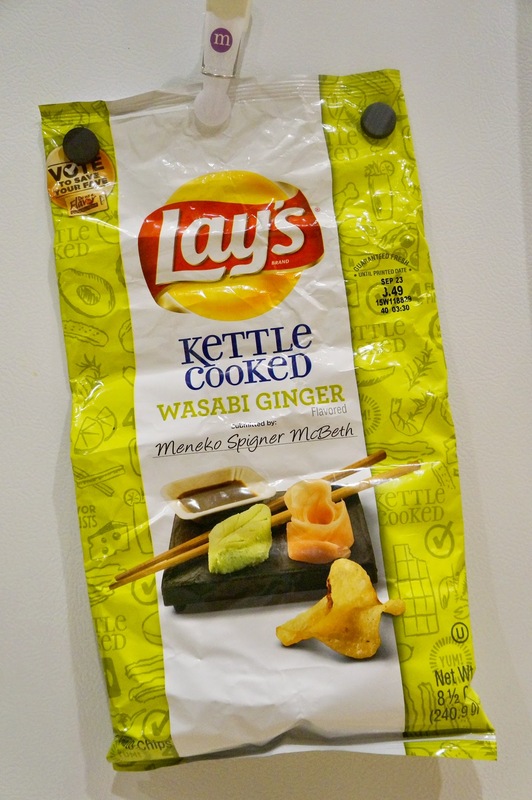 It’s a good combination of wasabi and ginger, not one overpowering the other. I literally have to put my chips on a plate in order to control my portions! I haven’t tried the other flavors yet (Mango Salsa, Cappuccino, and Bacon Mac n Cheese). Have you? If so, which ones do you recommend? I’m kinda interesting in trying cappuccino! And now drumroll please! 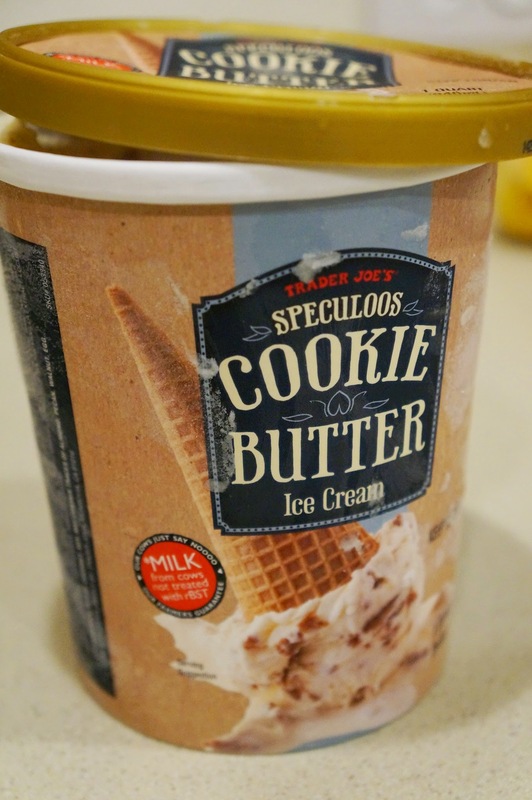 I’ve discovered Cookie Butter Ice Cream from Trader Joe’s. Have you ever had cookie butter before? It’s a brand of speculoos, which is basically a creamy spread of gingerbread cookies. Think peanut butter but with gingerbread. OMG – I die! So good to the point I can’t even describe it. 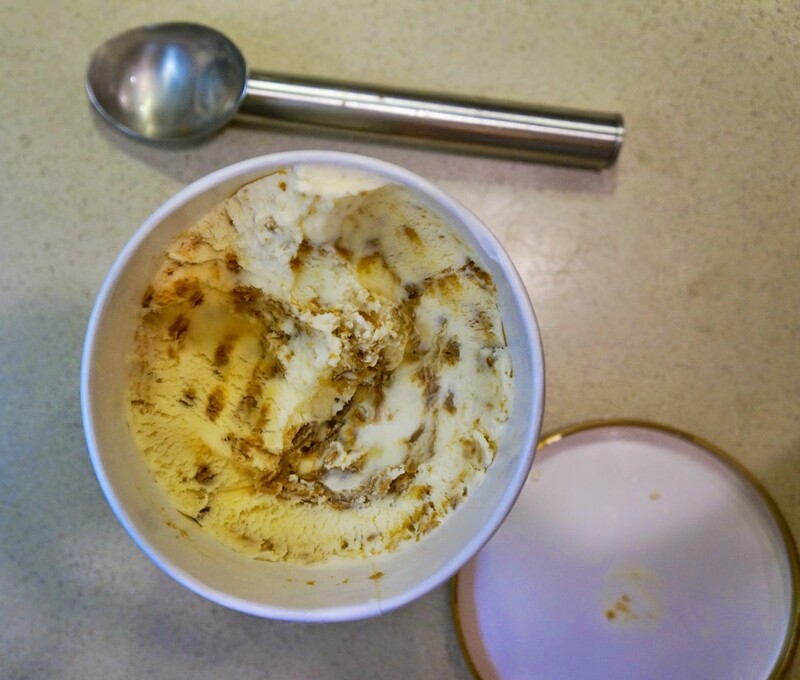 I typically buy speculoos for crepes or just eating a spoonful for dessert. But Cookie Butter ice cream? That’s beyond me! Who’s the genius that came up with this… I want to shake his/her hand. 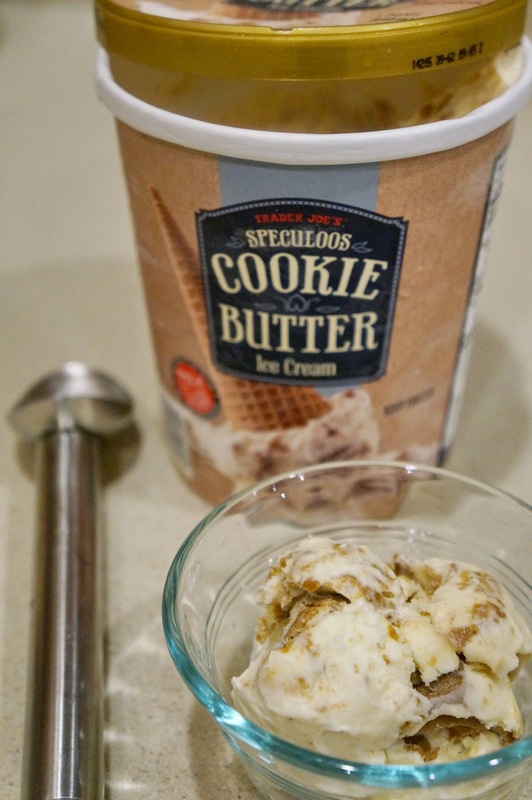 Look at those amazing specks of cookie butter! Seriously, these snacks are probably not helping with my training for my half marathon. But that’s okay! Running means I’m losing calories, which means I can have a higher calorie intake now. That’s my motivation for running… tehehe! What are some of your favorite snacks? This is a bad question because I’ll probably try your recos and then I’m back at snack hoarding!